The 2018/2019 season will commence 6th October 2018. Become a member NOW or if your a visitor we offer a 1 Day Visitor Membership! 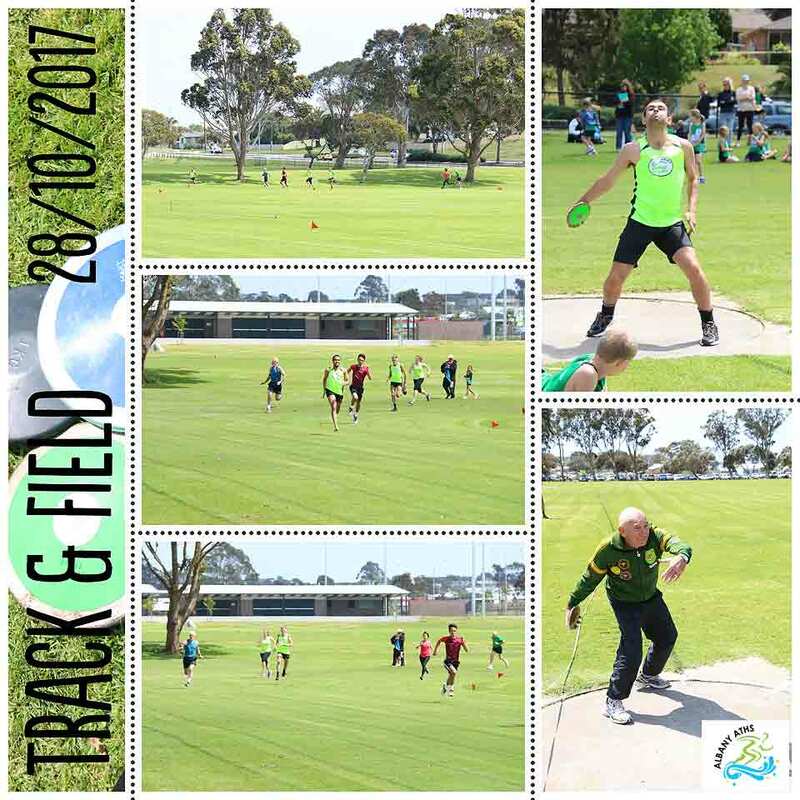 We offer Saturday morning Track and Field events at our Clubrooms and Track, located Cnr North Rd and Sanford Rd, Albany. Our first event starts at 8.45am sharp. We work together with our local Albany Little Athletics Club to provide a 2 week rotation Program. The Programs include the following events: 100m, 200m, 400m, 800m, 1500m, Long Jump, Triple Jump, High Jump, Shot Put, Discus, Javelin and Hurdles. Come and try them all or just pick your favourite events. We offer Wednesday afternoon distance track runs at our Clubrooms and Track, located Cnr North Rd and Sanford Rd, Albany. We offer track distances 2,000m to 10,000m. We meet for a 5.15pm warm-up followed by a 5.30pm run start. Your runs will be timed and recorded. NEW This Year a Summer Trail Series. Because we all love trail running. We will offer a variety of trail runs in and around Albany at varying distances. Our Summer Track & Field, Distance Track Runs and Trail Series events are open to most ages from 12 to 100years and all abilities and all levels of runners are welcome. Download the complete Summer Program HERE.